Memorial Day weekend is eagerly anticipated by many of our readers, especially this year after the harsh winter that we endured. Fortunate travelers expect to enjoy their vacation homes this weekend. As you head out for the weekend, we wish to remind you of certain legal issues pertaining to vacation homes. Some vacation homes were financed by the use of reverse mortgages . Once the borrower dies or does not occupy the home for another reason, the lender may seek to collect the remaining unpaid principal balance, require the home to be sold or foreclose on the property. Since vacation homes are secondary homes, obtaining a mortgage modification, if necessary due to the financial circumstances of the borrower, is not a certainty. We are available to assist our clients in foreclosure defense should it become necessary. Sometimes a vacation home is inherited by more than one adult child. In this case, maybe not all of the record owners contribute to the expenses of the house or even use the house. Our firm has been engaged in partition actions on behalf of its clients to alleviate this situation. 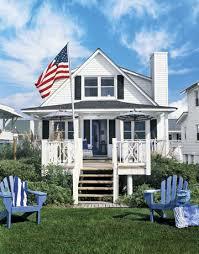 Should an owner not be in a position to personally use the vacation home, it could be rented or sold. Our attorneys assist owners of secondary homes in the sale process, from contract to closing. Further, we prepare leases on behalf of our clients. In addition, our attorneys are fluent in landlord-tenant matters, should a vacation home be rented to a problem tenant or you are a tenant whose landlord has not fulfilled his obligations. People are often sentimental about vacation homes and the happy memories enjoyed therein. With this in mind, the next generation should be considered. Our estate attorneys often include provisions for the disposition of vacation homes in our clients wills and trusts, so that disputes do not arise in the future as to the inheritance of the vacation home. Even though some of these concerns apply to vacation homes, we wish our readers a happy, safe and fun Memorial Day weekend.